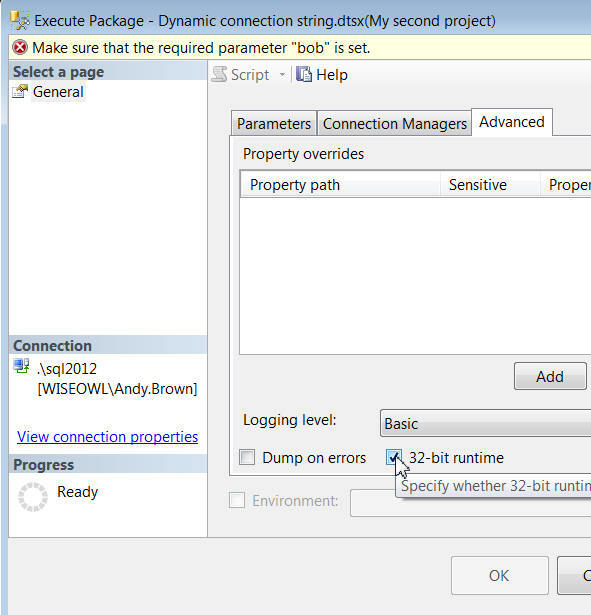 When you've deployed your packages (I'm assuming you're using project-level deployment in SSIS 2012 or later), you also need to be careful to execute them in 32-bit mode. 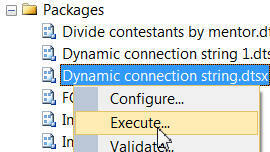 You can right-click on a deployed package to run it. The package failed 3 times, but is now working. These errors shed almost no light on the subject. When you choose to execute your package, a dialog box appears. You need to tick a tiny little box! On the Advanced tab, be sure to tick the 32-bit runtime box shown. I think it's fair to say that this is easy to overlook! If you're using a stored procedure to run your package, the auto-generated script will include a parameter called @use32bitruntime, which you can set to True.